CLOSEOUTS. 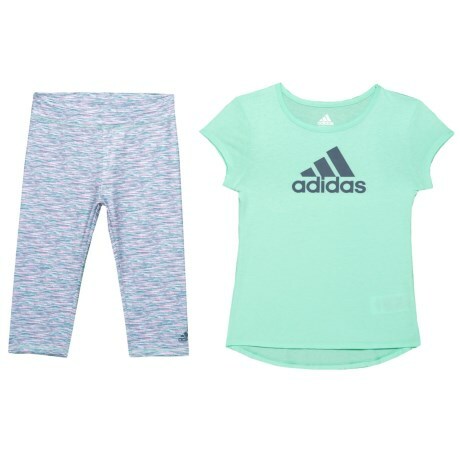 From playtime to downtime and any time in between, this adidas Core T-shirt and leggings set keeps your kiddo comfortable at rest or play. Available Colors: CLEAR MINT. Sizes: 4, 5, 6, 6X.